There is no better way to preserve cigars than keeping them in a humidor. Because they are made in climates featuring high humidity and high temperatures, cigars maintain their optimum taste and longevity in a humidor with a humidity level set between 65 and 75 percent. 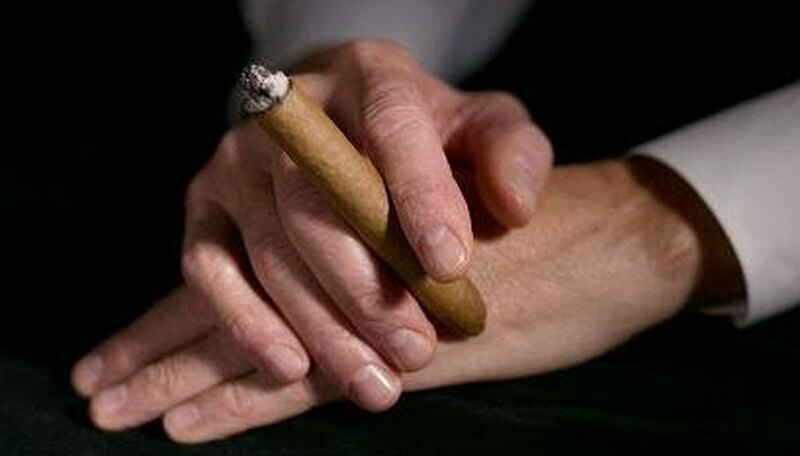 If the humidity is too high, however, the cigars can become hard to light and keep lit, and can tighten up to make drawing on the cigar very difficult. Carefully regulate the humidity in your humidor and lower it if necessary to have perfectly preserved cigars. Open the lid of the humidor and leave it open for two to three hours. This will allow the moisture in the humidor to escape, lowering the humidity. Place the open humidor in direct sunlight to speed this process. Remove some of the water from your humidor, or refill less often. Refilling the humidor with distilled water keeps the humidity up, so removing water or refraining from adding more will lower the humidity. Purchase humidor beads from a cigar specialty shop. These beads are designed to regulate certain humidity levels; 65 percent humidity is a good level to use. Soak the humidor beads in distilled water. Shake off excess water and store in the humidor. The beads will release moisture or absorb moisture as needed to regulate humidity. Some humidors will feature humidity settings such as low, middle and high. Check the setting on your humidor before trying to adjust the level in another way.